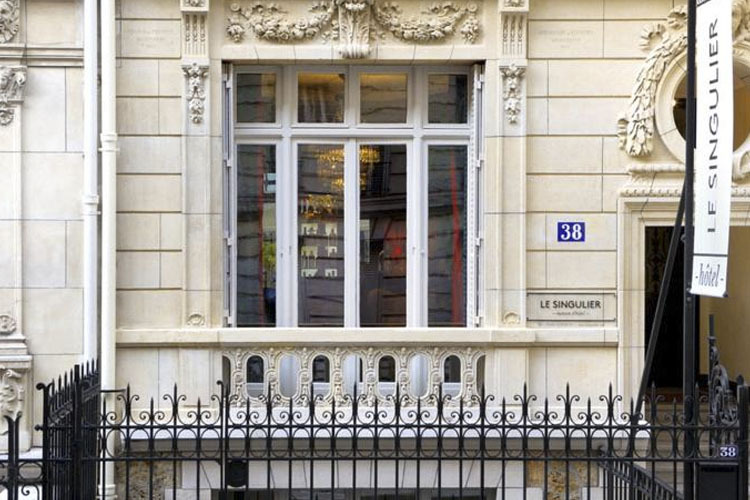 38, Rue Saint Didier, Porte Dauphine, 75016, Paris, Paris, Ile de France, FRANCE. 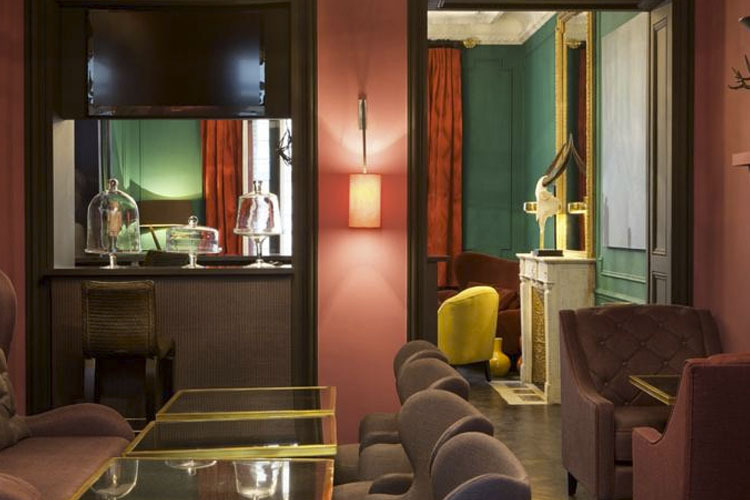 Located in one of the 16th arrondissement's most iconic buildings, Le Singulier is situated in an extensively renovated and restored 19th century mansion. 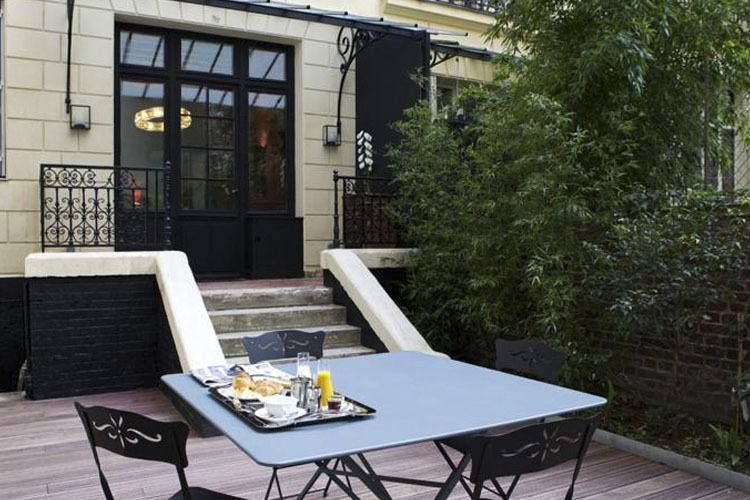 Since 2011, this unique property has been providing top-quality boutique accommodation and bespoke service in a genuine Parisian ambiance. 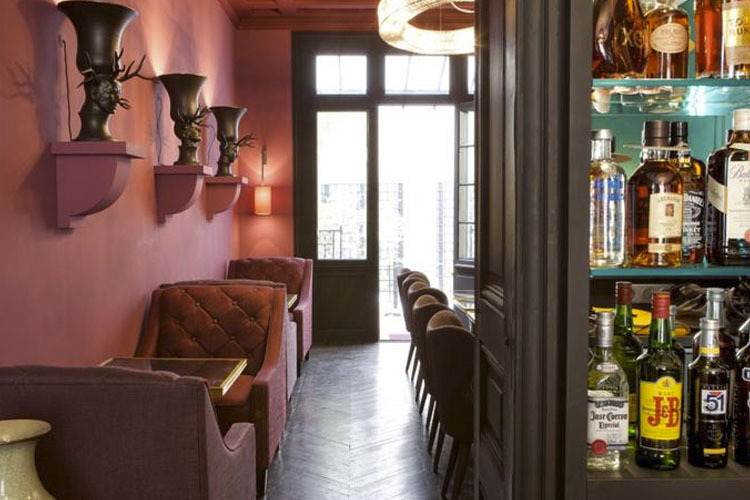 Ideal for relaxing stays in Paris, Le Singulier is set in a neighbourhood that exudes genuine old-world charm. Lively, but never noisy, chic, but never flashy, calm, but never asleep, the 16th arrondissement is widely regarded as one of the most authentic Parisian districts, and not just a showcase for tourists. 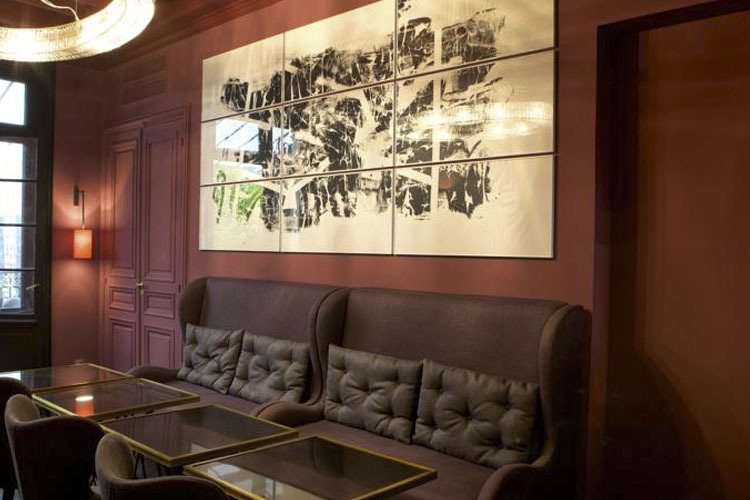 Guests can stroll down Avenue Montaigne, wander around the traditional French market on rue Mesnil or indulge in some of Paris's finest restaurants. The Trocadero is less than ten minute's walk away, while the Eiffel Tower is a little further away over the Pont d'Iéna. 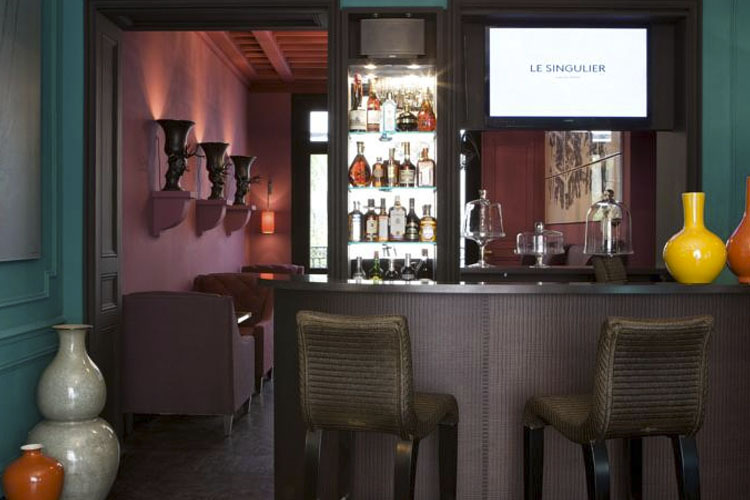 Le Singulier has just eight individually decorated and furnished rooms, featuring a daring post-modern interior design. 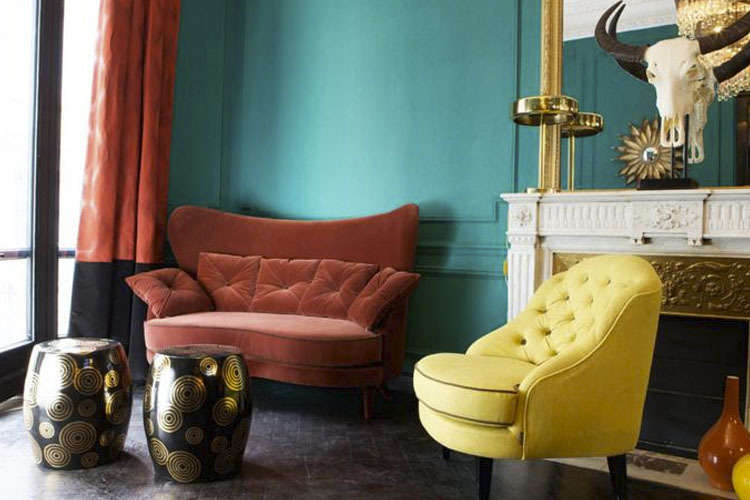 Fifties-style English Tweed, brightly coloured resins, witches' mirrors and intricate chandeliers are combined to create and elegant and inspiring atmosphere. 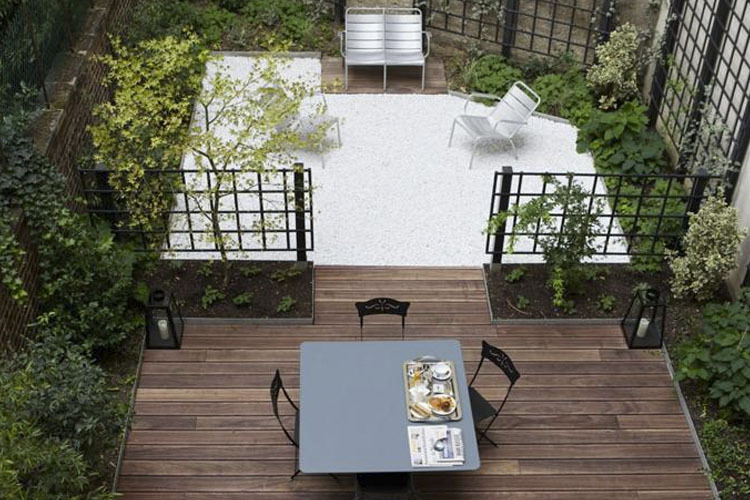 On site, the hotel boasts a relaxing spa area with a steam room and Jacuzzi, a designer wine bar with an excellent selection of drinks and snacks, and a charming patio garden, where guests can enjoy a delicious buffet breakfast in fine weather. Energy and softness mingle and combine in this purple and taupe-shaded room. 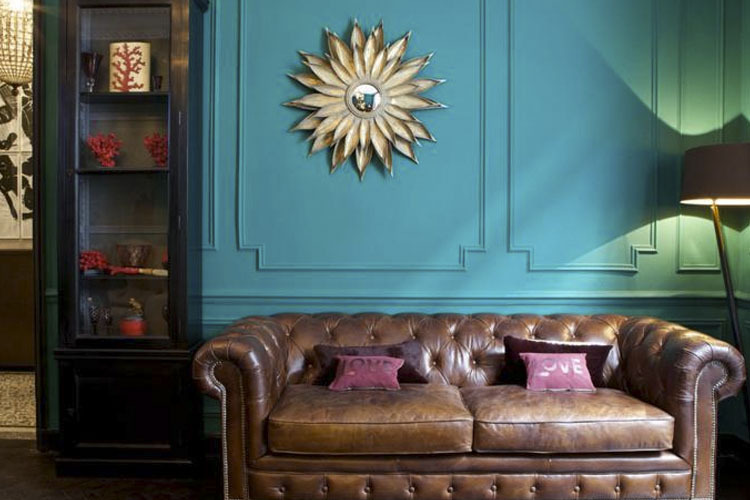 With a designer feel yet warm and intimate, it is a comfortable haven of peace. One single bed (90 x 200 cm). Room size 12,2 sq m.
Peace and pleasure reign in this beige and cream-toned room... Yearning for a cocoon of mellow comfort? For somewhere you can relax without a care in the world? Grège welcomes you with open arms... You'll never want to leave! One large double bed (140 x 200 cm) and one single bed (90 x 200 cm). Room size 16,1 sq m.
All the suave, sweet softness of a romantic boudoir... Its bright pink and pale grey hues combined with the toile de Jouy walls recreate the cosy atmosphere of a romance-filled rendez-vous. An elegant white bathtub takes pride of place in the centre of the room, the perfect place to dream of romance... One king -size bed (180 x 200 cm). Room size 19 sq m.
A hint of James Bond... Elegant tweeds, mustardy velvets and tennis-style stripes speak for themselves in this fifties-style room with an oh-so British feel. Plump up the pillows and snuggle up for some well-deserved time out from the hustle and bustle of everyday life! One king -size bed (180 x 200 cm). Room size approximately 20 sq m.
Ready to be whisked away to foreign climes? Amarena is sure to take your breath away: its poppy red walls, warm greys and delicate lacquers will stimulate your senses? taking you on a voyage to Asia and beyond. A unique and energizing experience. One king -size bed (180 x 200cm). Who could resist the discreet charm of this matte grey room. Ladies and gentlemen of impeccable taste who appreciate timeless chic will love the room's clever combination of colours and materials that makes for resolutely warm and soothing surroundings. One king -size bed (180 x 200 cm). Room size 21,5 sq m.
Irresistible and bewitching, Argan swathes you in its lustrous bronze hues, whisking you away on a voyage of discovery with a distinctively Moroccan and Asian flavour. 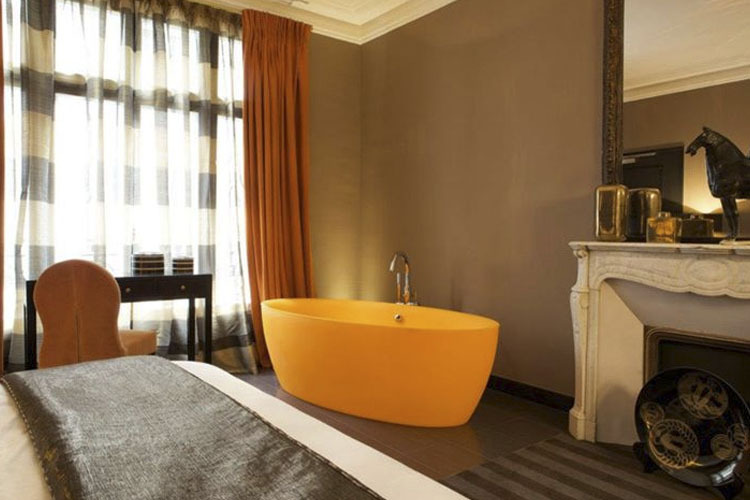 A breath-taking "Seventies-style" orange resin bathtub takes centre stage in the middle of this spacious suite - an open invitation to relax and unwind. Simply unforgettable. One king-size bed (180 x 200 cm). 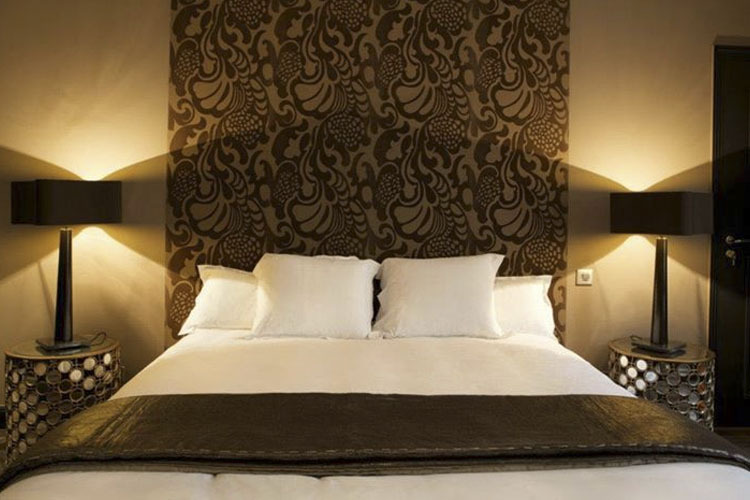 Room size 27,5 sq m.
Awash with velvety, delicate creams, an avalanche of ivory... This highly spacious Suite with its luxurious open bathroom is genuinely breathtaking. What could be better than lingering in a delicately fragranced bath whilst admiring the magnificent surroundings? A truly romantic setting. One king-size bed (180 x 200 cm) and one single bed (90 x 200 cm). 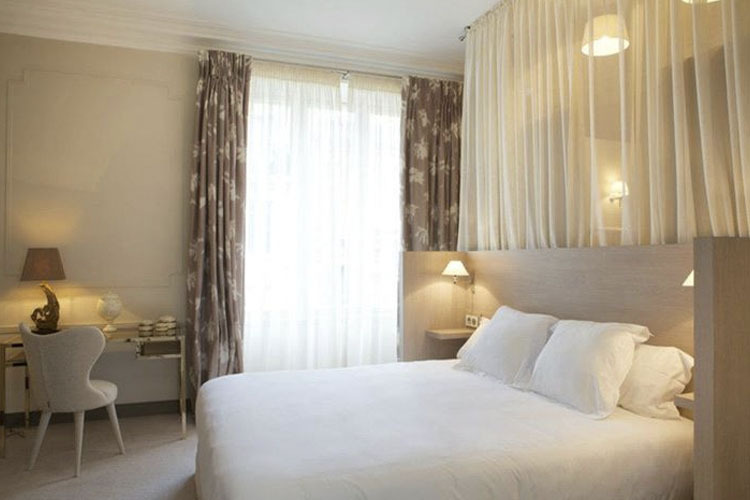 Suite size 38,5 sq m.
Year of establishment and/or latest refurbishment: 19th century/2011. Credit cards accepted: American Express, Visa, Euro/Mastercard, Maestro, Carte Bleue. Nearest airport: Paris Orly Airport - 22,9 km. Golf - 10,7 km: Golf de Saint-Cloud.